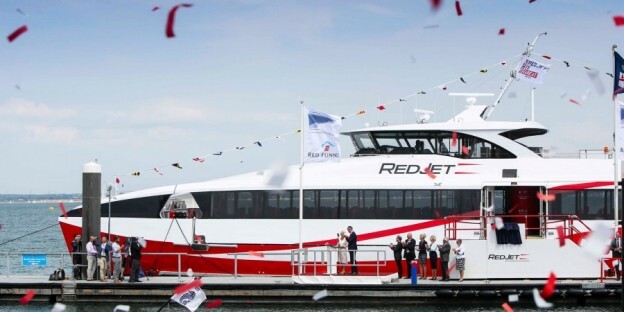 Red Funnel’s latest addition to its fleet Red Jet 7, was named and blessed yesterday at a ceremony in Cowes on the Isle of Wight. The ceremony, at Trinity Landing, was attended by HRH The Duchess of Cornwall and included members of the public including 300 children from local schools in Cowes. After the naming ceremony, HRH The Duchess of Cornwall broke a bottle of Isle of Wight-produced ‘champagne’ on Red Jet 7’s bow and unveiled a commemorative plaque. 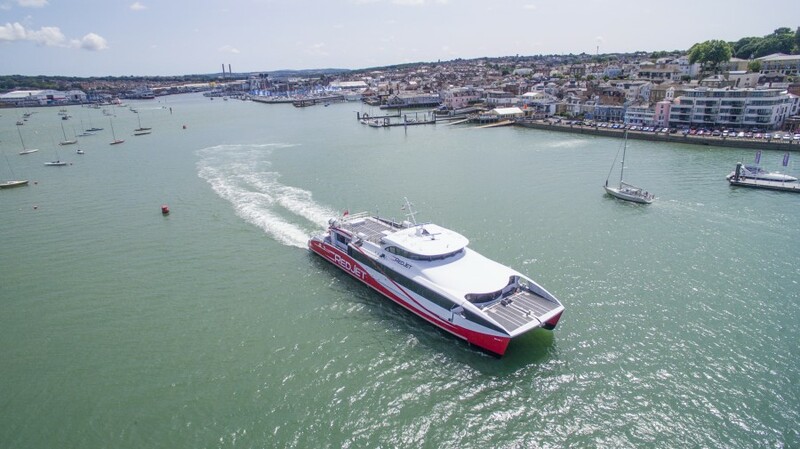 The new hi-speed aluminium catamaran ferry, a £7M investment in its Southampton-West Cowes route, signals a watershed moment in the history of this 156-year-old company; helping to bring fast ferry shipbuilding back to the island once again. Following the construction of sister ship Red Jet 6 last year by the Wight Shipyard after a gap of 15 years, and the subsequent order for Red Jet 7 for this year, the island shipbuilders and its skilled craftsmen are enjoying a buoyant order book winning vessel refit work and new build orders from domestic and international fast ferry operators. Red Jet 7 offers 275 passengers comfortable high-back leather seats with cup-holders, free wifi, space for four wheelchairs and plenty of luggage space. 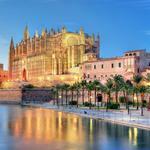 USB charging points for phones and tablets have been fitted to all window seats. 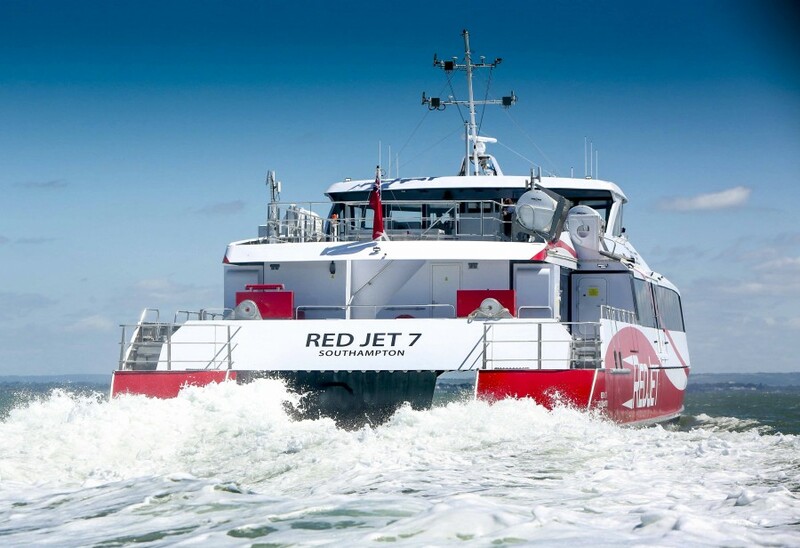 Fran Collins, Red Funnel’s CEO said: “The arrival of Red Jet 7 continues to enhance our fleet and gives our customers an unrivalled travel experience. 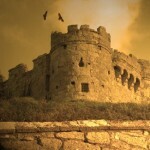 She also adds more capacity to our Southampton-West Cowes route to accommodate the anticipated growth in the Isle of Wight’s population and economy over the next 10 years. Following the ceremony, Red Jet 7 was put through her paces as she took some lucky passengers on a short trip around the Solent showing off with some swift turns and impressive acceleration from her four waterjets. Featured Image credit Jake Sugden Photography.